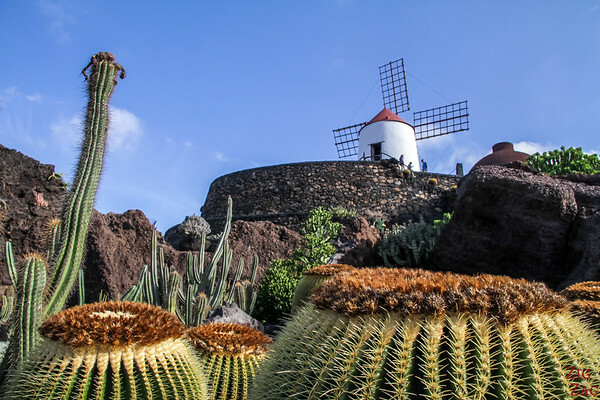 The landscapes of Lanzarote are stunning, so don't stay all the time in your hotel or resort! It is really worth exploring. 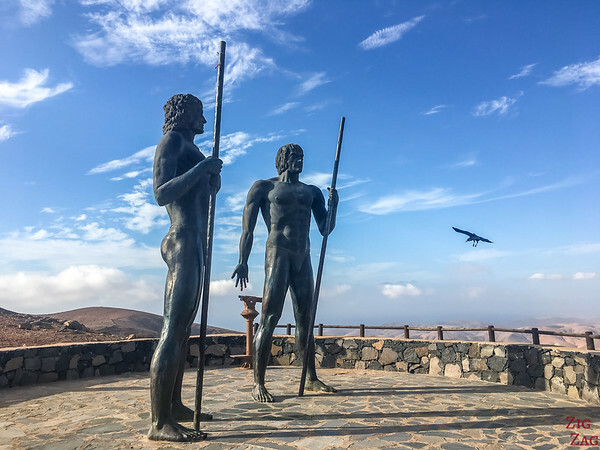 Let me show you, with pictures, my favorite Lanzarote excursions and tours to see the best the island has to offer: national park, volcano tours, boat trips and day trips to Fuerteventura. I do think the best option to explore Lanzarote is to rent a car, to have the freedom to get anywhere, even in off the beaten track small villages. But I understand if you don't want to bother. And if you want all the facilities, those resort town also have great 5 star resorts to consider. I have included the links so that you can book your Lanzarote excursions online and be all set up and be sure to have a seat. 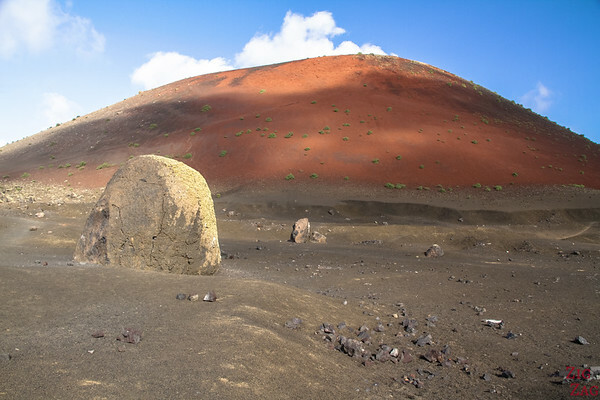 The Timanfaya National Park is the top excursion in Lanzarote. It is absolutely stunning! It is a national park and you can't wander around by yourself. But even in groups, it is fantastic to see the colors and the power of the Earth. The Timanfaya National Park is located on the west coast of the island and it is entirely made up of Volcanic soil. It is fully protected. You can only go to the restaurant center where you can see the water being projected from the Earth and touch the hot rocks. After that you can climb on a bus to tour the park on the single road they created. 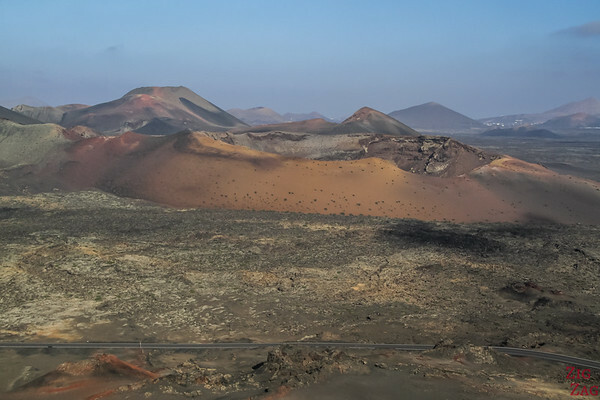 The Road offers fantastic panoramas of the many volcanic craters (mostly from the 1730 to 1736), the different types or lava and incredible colors. This is almost the only way to see the national park (see other options here). It is a big attraction but it is definitively well done and worth a visit. 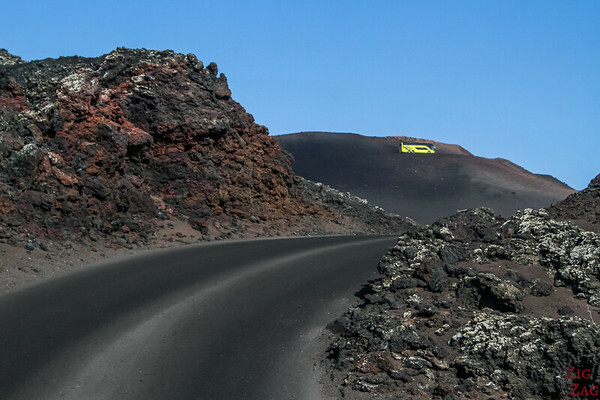 Your first option is to simple book a half day Lanzarote tour to Timanfaya. They will include a stop at the camel ride place where you can opt to do a ride. I think it is not worth it, but you ca simply sit and admire the colors. Then the bus takes you to the National park where you will enjoy all the activities. 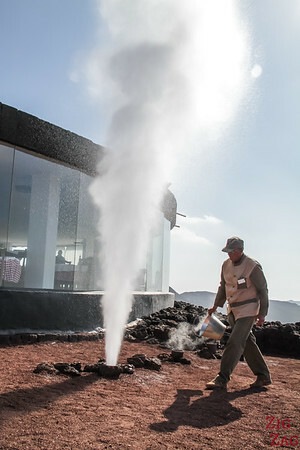 TIP: I recommend sitting on the right side of the bus when doing the Timanfaya bus ride. There are nice things to see on both side but some of the best panoramas will be to your right. 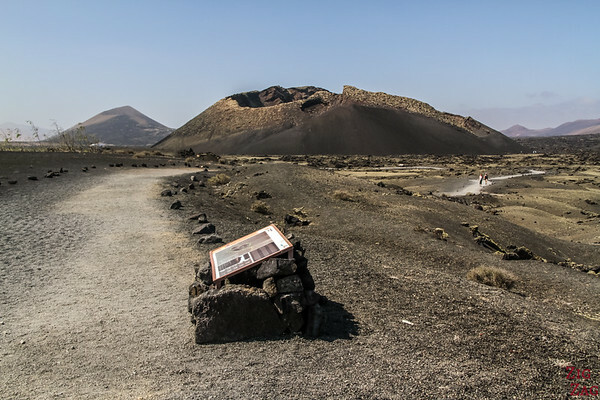 There are other full day tours that take you to Timanfaya to do the bus tour but drive you also to the Coast south of the Park. I think it is absolutely worth it. The green lagoon of El Golfo and the incredible coastline of Los Hervideros were some of my favorite spots on the island. The colors there are simply unbelivable. The lava as well as the erosion have created beautiful shapes. I just sat there and enjoyed the view. I really recommend booking the combined tour to be able to see them. Same tip as above, sit on the right side of the bus in the National Park. Are you like me and fan of volcanoes? Well, you won't be disappointed in Lanzarote. They are everywhere!!!! Yay! Some are dark, others are reddish. The grounds is smooth or rocky or flowy... it is fascinating. My absolute favorite was one that is very easy to access with a flat walk around and a short trail to go inside: Volcan del Cuervo (or Montana Cuervo - first photo below). There are many explanations along the way and the deep dark of the rock is mesmerizing. 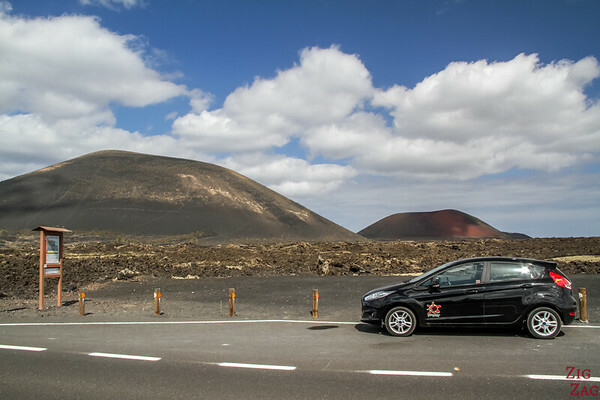 Luckily there is an Lanzarote excursions that takes you to that volcano (you won't do the whole tour but still see a lot of it). And it will also take you to Montana Colorada that is very recognizable with its red color. It is where you will find the biggest volcanic bomb of the island (block of rock sent from a volcano). This is a great combination where the walking is not too difficult. TIPS : wear a hat and bring water. It is quite flat but the ground is sometimes gravel and there is no shade. So it can still be tiring. If you like walking, there are many other hikes available on the island (I did several). They are more intense but offer incredible views. Once again, if you have a car, you can just go and do any of them. But I must admit I prefer guided walk to understand better all that I am looking at, discover small plants and animals etc. 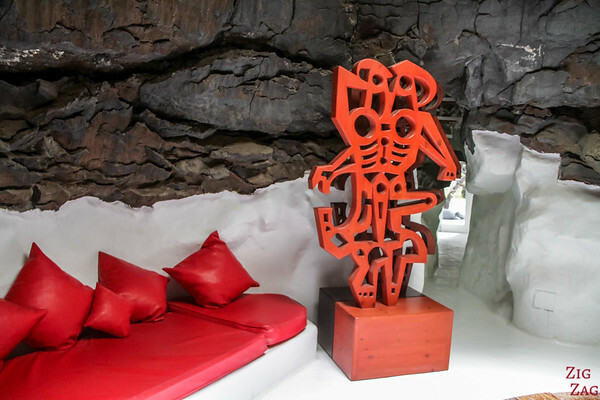 Lanzarote is also famous for being the home of architect and artist César Manrique. He loved above all integrating architecture with the natural environment. It is thanks to him that there are no big developments on the island and that it retains so much charm with all those small white houses. One of my favorite places from him was the Cactus Garden. I have taken hundred of photos. I just love cacti!!! how about you? 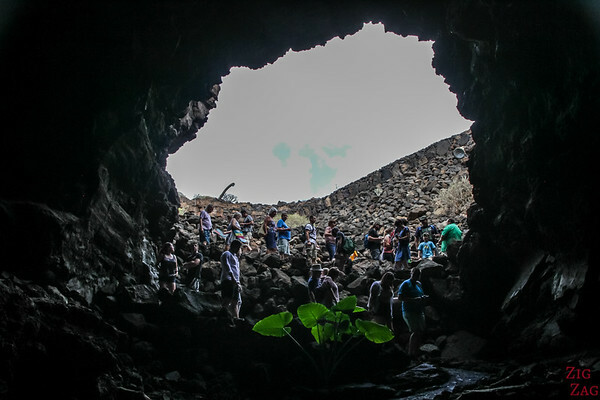 Cueva de los Verdes - a 7km long Lava tunnel created by the eruption of Monte Corona 8000 years ago - you can walk a portion and have a surprise at the end (I won't spoil)! 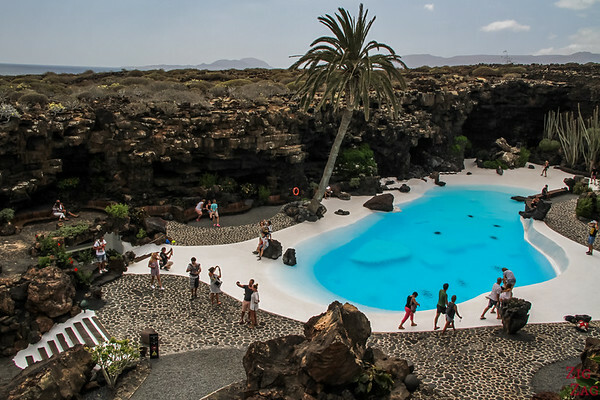 Jameos del agua - part of the architectural ensemble was designed by Cesar Manrique. It is fun to explore and watch the small white crabs in the lake. But I must admit it is quite frustrating not to be able to swim in that incredible pool!!! Another highlight of visiting Lanzarote is to discover the wine culture. It is quite fascinating to see how the grapes grow in this hostile environment. And the vineyards are quite photogenic! The most famous wine area is La Geria with La Geria winery and Rubicon winery. There is a large expanse of black land covered with vineyards and you can see it all from La Geria. The tour will take you to higher ground to realise the extent of the vineyards and the volcanic landscapes. 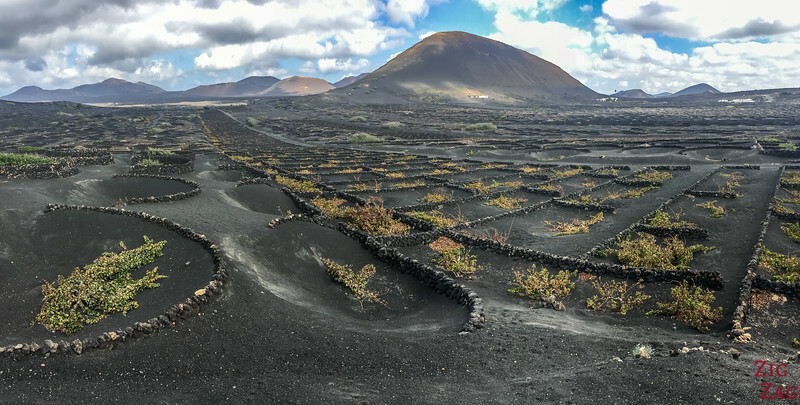 You will be able to taste this unique wine and learn how it grows thanks to the picon rocks, despite Lanzarote getting no rain. Note: if you have your own car, I think El Grifo is more interesting. Not as impressive, but more interesting in terms of information and tasting. It has a small museum and the staff is really nice. 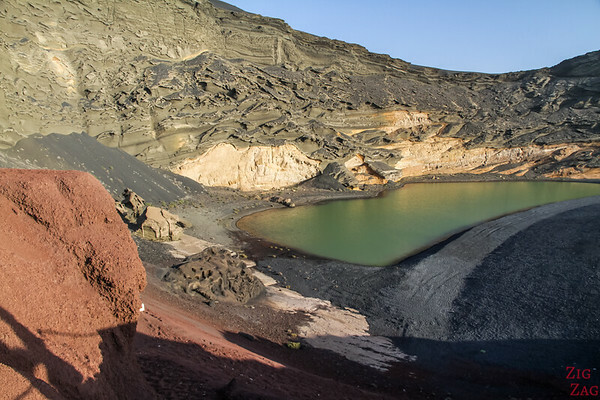 If you have a limited time in Lanzarote, you might want to book an excursions that show you different elements of the island. 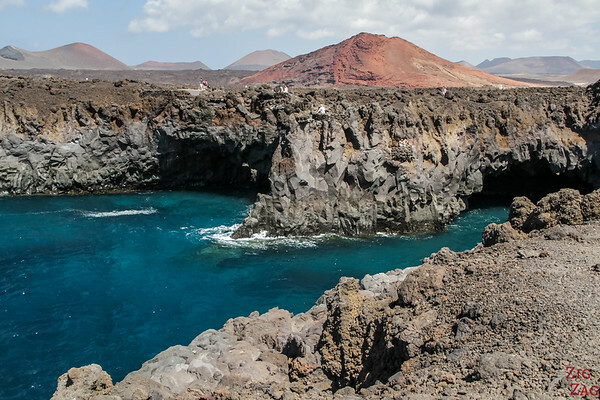 This tours includes the magnificent Timanfaya National Park for volcanoes, the walk in the lava tube of Cueva de los Verdes and the Cesar Manrique work at Jameos del Agua. Another classic is to keep a day to discover the neighbor island of Fuerteventura. It is so close and yet quite different. The landscapes are more mountainous and less volcanic. It has better beaches but not the same charm as Lanzarote. So it is a great way to experience something else in the Canary islands. 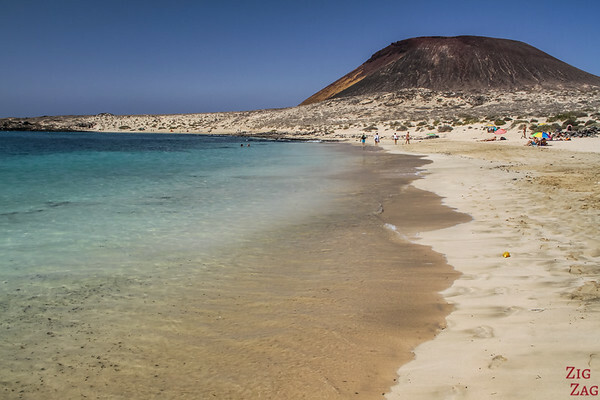 The Tours include the ferry ride from playa Blanca to Corralejo with the views over Lobos island. Your first tour option is one where you don't spend too much time on the road. 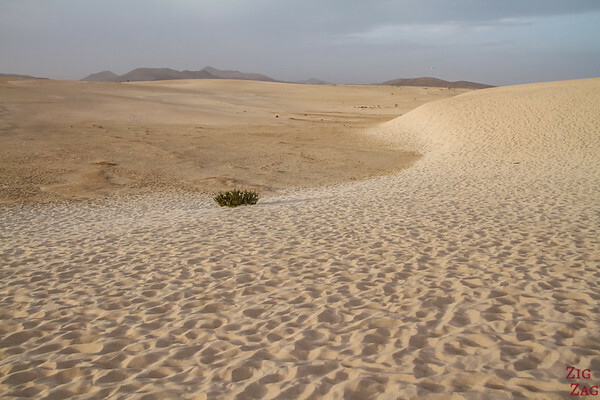 You stick to the North of Fuerteventura with the fishing town of Corralejo and the famous Corralejo Sand dunes. You will be able to enjoy the afternoon at the beach or explore the surrounding sand dunes. 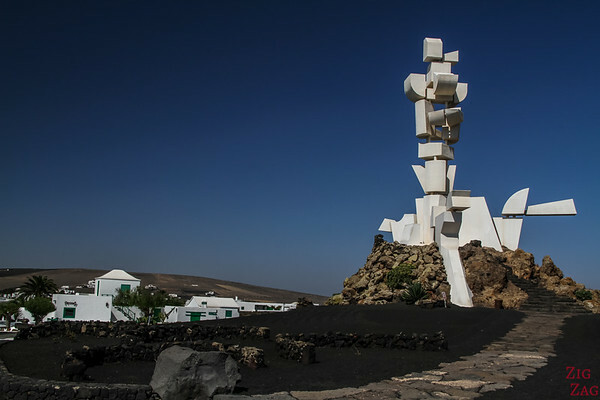 Your second option Lanzarote to Fuerteventura tour option is the Panorama Trip. It will take you to the heart of the island. 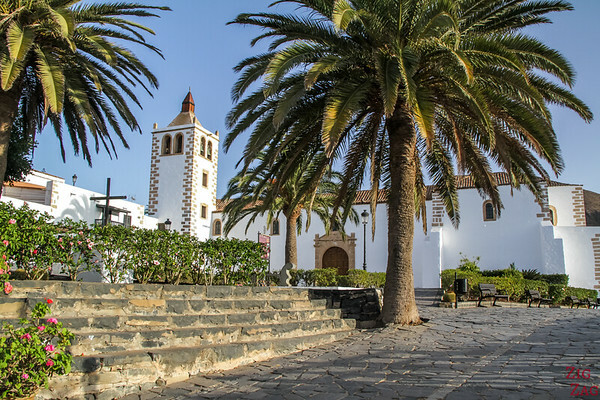 The Town of Betancuria is consider the former capital of the canary islands. It is quite a charming places. Located in the mountains you will be able to appreciate amazing panoramic views along the way. 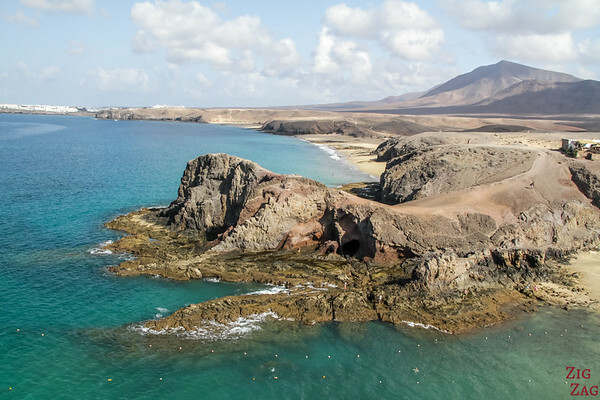 The Papagayo area is considered to have the most beautiful beaches in Lanzarote. I quite agree. There are no roads to get there, just a dirt track and a hiking trail. As per contracts, Rental cars are not allowed on the track. So you can also get there by Boat. From Playa Blanca, your can take the Waterbus to Papagayo (except on Sundays). 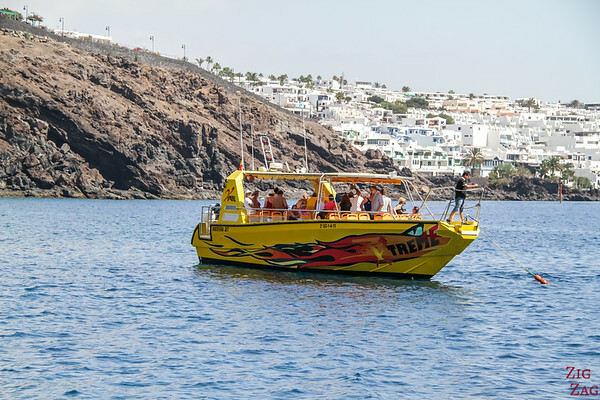 Or if you are staying in Puerto del Carmen, you can enjoy a catamaran cruise and admire the coast and the beaches from the boat. It includes lunch on the boat. Pick up available from all major hotels to take you to Puerto Calero where the boat sails. 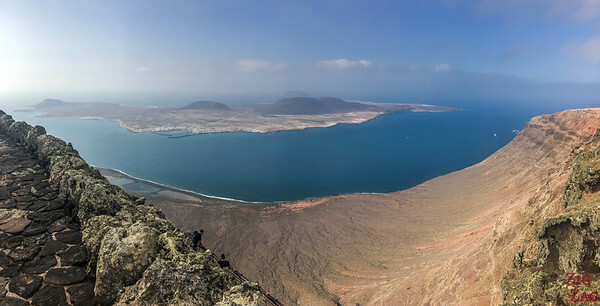 La Graciosa was one of my favorite stops on my trip to Lanzarote. It is a small island to the North of Lanzarote and it has no roads. Contrary to Lanzarote, it offers beautiful white sand beaches. A trip there, will give you yet another appreciation of the canary islands. 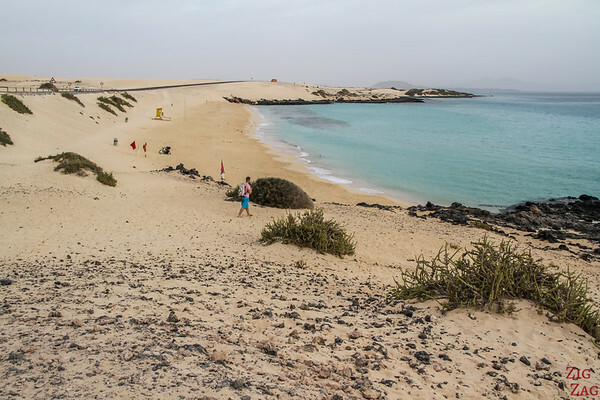 An organized tour will pick you up and get your to Orzola, where you will board the ferry to La Graciosa. 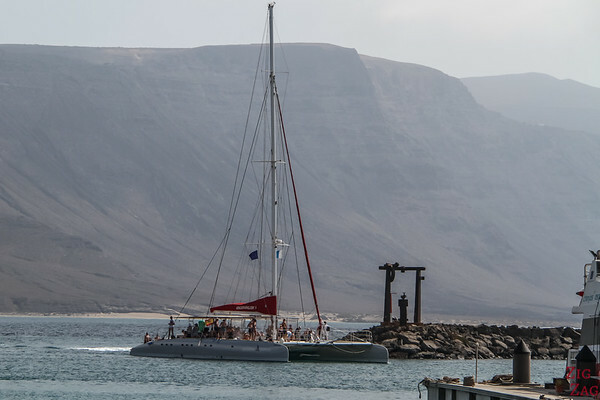 Once at La Graciosa you will board a catamaran to admire the islands from the water and enjoy lunch. Then you can enjoy free time on La Graciosa itself. It is a great tour, but it limits your discovery of La Graciosa. You can also take a bus or rent a car to reach Orzola by your self, get on one of the ferries (book your tickets on directferries - 2 companies with equivalent services) and then you can book a 4WD discovery of the island (there are a few 4WD available at arrival but they are often pre-booked at certain time and in a rush to show you the island). This way you can see the best beaches and the beautiful lava arch. I must admit I had a really great time on board the submarine. I agree with all the excellent reviews. It is great for the whole family. 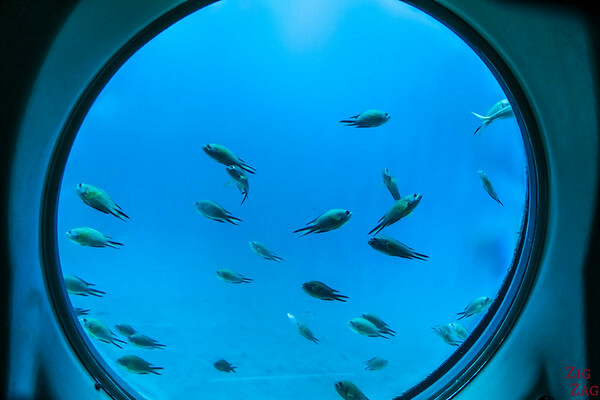 The experience of being in a submarine, the boat wreacks, and fish attracted towards the submarine by a diver and a giant Manta Ray. That was fun. Plus you have your own screen with the outside camera and then the dive depth once under water. Make sure to book your seat in advance as they can get quite full. On Getyourguide, they only offer the 12pm tour as most of the others are booked by big groups from hotels and organized holidays. But they operate several times a day. 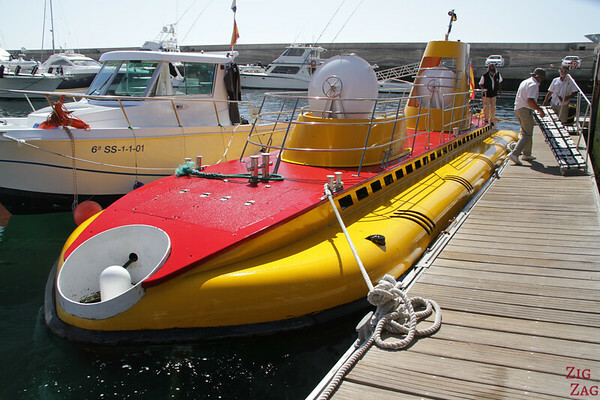 There are also mini-cruise to try and spot dolphins off the coast of Lanzarote. I must admit that Lanzarote is not the best place to see dolphins. The population is not large and sightings are not as guaranteed as in other countries. But the boat trip will be nice anyway, especially if you like thrill rides. You can also combine a Dolphin trip with a tour around the amazing volcanic Lobos island. In theory Africa is not that far from Lanzarote. But it is not so easy to get to Morocco. It is a windy area. There are no ferry. There are a flew flights but the trip would be complicated. You already have lots to see on Lanzarote and Fuerteventura. Africa will be for another trip! Much to do, isn't it?